Aardvark Casting is one of the largest casting agencies in the world. 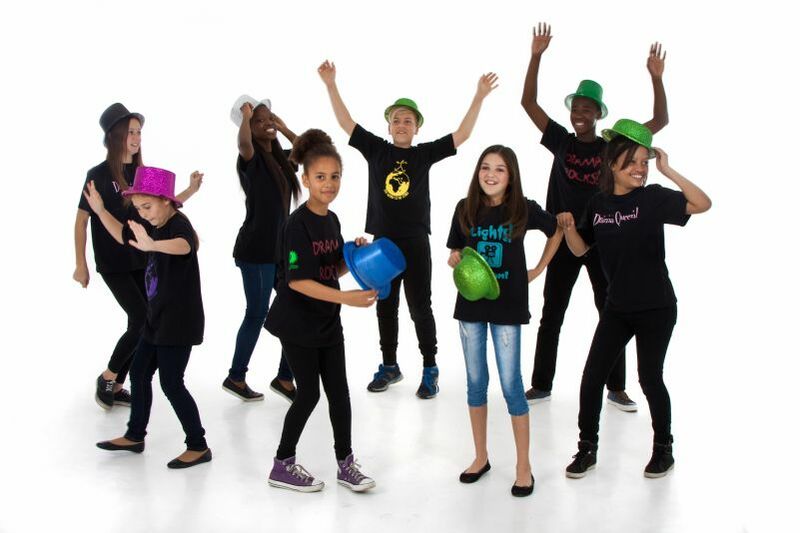 Children and Adults from the Helen O'Grady Drama Academy can join this casting agency in Cape Town to take their talents further. Paul, who is also Director of The Waterfront Theatre College, is an experienced theatre practitioner with an international career both as director and teacher. Michele, a former actress, is also an experienced early learning teacher. Anray Amansure is a qualified Actress and is also a singer. She studied Professional Acting for Camera at CityVarsity where she obtained her Diploma and Advanced Diploma and also received a Shooting Star Award. She studied 1 year of music at the Cape Music Institute under the direction of Camillo Lombard and Ezra Delport. In 2011 and 2012 she worked in Spain as a tribute singer and performed in various venues. She has shared the stage with Rhema Varrie, Sasha-Lee Davids, James Bhemgee, Emo Adams, Charlyn Davids, Ramon Alexander, Munro Du Toit, The South African Youth Choir and the Take Note Band. In her end of 2nd year production, she performed in a Theatre piece called 'The Price of Meat' which was directed by Jayne Batzofin and later redirected by Rebecca Makin-Taylor for the Grahamstown National Arts Festival. Anray is also a performer in Bonfire Theatre Company. Natasha Dryden is best known for her role as Elaine in the popular TV Series 7de Laan. She most recently toured to all the major Afrikaans festivals playing the role of Hilde Wangel in the production of “Die Vrou Uit Die See” a translation of Hendrik Ibsen’s “The Lady From The Sea” produced by Innibosfees and directed by Henry Mylne. Post completing her formal training in drama, teaching, musical theatre and dance, Natasha Dryden is passionately enjoying working as an actress with some of South-Africa’s finest directors and acting professionals. She has been involved in such productions as Fuge’d at the ABSA Athol Fugard Festival in Nieu- Bethesda, and Hairspray in which she portrayed the role of Penny Lou Pingleton. She stage managed the Fleur De Cap award winning Die Rebellie Van Lafras Verwey and went onto star alongside Albert Maritz in a short film titled: Wildernis. In 2012, Natasha was awarded a bursary from the Imbewu Trust to perform Se-My-Alles (award winning play written by Francois Bloemhof) at the Grahamstown National Arts Festival. She considers her work with The Pinups to be the highlight of her experience that same year when “I Am What I Am” received sold out performances at the Alexander Upstairs and the Kalk Bay Theatre in Cape Town. In 2013 she was one of the dynamic young cast in the Baxter Theatre’s production of Long Street Nights, a work shopped piece based on the techniques of Barney Simon and directed by Nicky Rebelo. Natasha has starred in two of Fred Abrahamse and Marcel Meyer’s children’s theatre productions of Hansel and Gretel and Alice in Wonderland, where she portrayed the leading roles of Gretel and Alice respectively. She believes children’s theatre to be the most honest form, as children don’t mask their responses, immediately telling if you’re believable or not. She starred in a feature film, Die Ontwaking, opposite Gys de Villiers, who she has admired since childhood. Besides her love for performance, Natasha is inspired by travel, nature and experiencing alternative cultures. During her recent travels through Southeast Asia Natasha felt that she was finally ready for the next step in the development with her craft which is to impart the skills and knowledge she has honed to the new generation through teaching Drama. She believes that communication, emotional understanding and creative play are invaluable life skills and vital to enhance any person’s quality of living. She finds great joy in guiding her students through a process of experiencing their connection to self expression and collective storytelling. In her downtime Natasha enjoys diving, snorkeling and surfing, hiking, yoga and accompanying herself with basic guitar and piano skills. Exercise and healthy cooking are vital to her daily routine. She feels that the classroom is fast becoming one of the most fulfilling places she has travelled to as she always feels a spurt of immense gratitude after every class. Rory Leschinsky is an AFDA graduate having earned his BA in performance for motion picture and television. Since then he has worked on the sets of television and film productions as well as in local theater with the Miuzenberg dramatic society. He has a love for music being a trained singer and a self-taught guitarist. Rory is excited his about his career as an educator with Helen O'Grady hoping to instill the next generation with the confidence they need to achieve great things. Being someone who learns by doing, it is obvious that drama was Bridget’s first love. She graduated from UCT with a Performer’s Diploma in Speech and Drama. In Johannesburg she worked as an actress, founded her own theatre company and performed many plays created and devised by herself and her peers. Her love for filmmaking led her to working in the film and TV industry as a casting director. Here she discovered that working with children specifically was her happy place. She moved into teaching children drama, inspired to gift children with freedom of expression. She is thrilled to be a member of the Helen O’Grady Drama Academy where children learn the power of communication and the joy of being confidant. Terri has always been enthusiastic and passionate about Speech and Drama, performing on various platforms from a very young age. Her passion for acting developed into a passion for sharing her love of the arts with others. After a schooling career filled with dramatic accolades,Terri went on to study Drama through LAMDA for one year, obtaining a PCERTLAM (Performance Certificate) diploma, making her a qualified drama queen. She then chose to study another three years with Trinity, obtaining her ATCL diploma in teaching. Her most life changing teaching experience thus far was teaching Speech and Drama to psychotic and drug abuse children voluntarily at Lentegeur Psychiatric hospital for one year. Her prime focus was to build their self-esteem, teach them communication and problem-solving skills in a creative and friendly environment. Sunette Strydom’s love for drama and theatre started when she was only 8 years old. Her passion for drama only grew stronger and she went on to complete her BA Degree in drama and theatre arts at The University of the Free State with merit. In 2007 Sunette relocated to Cape Town and worked for Pieter Torien Productions at Theatre on the Bay. She worked on productions such as Evita, Phantom of the opera and Defending the caveman. She has been a teacher for the Helen ‘O Grady Drama Academy since 2008 and has an immense love for teaching drama. She was appointed as the Vice Principal in 2014. During her 11 years with the Helen O’Grady Drama Academy she has gained extensive experience in teaching, directing and developing children in communication and confidence through drama . She is the Course director for the acclaimed Helen O’Grady Holiday stage school. Her passion for teaching children and youth show clearly through her vibrant uplifting personality. She believes strongly in the positive effect of the performing arts and the development of young minds through drama and communication. Julian Wenn is a multi-talented performer who has studied Performing Arts at the Tshwane University of Technology and holds a certificate in film and video at CPUT. He is an actor-singer, guitarist, lyricist, and film-maker and was an SA’s Got Talent semi-finalist. His theatrical experience includes roles in 'The King and I', 'Snow White' and ‘Pinocchio' at the Joburg Civic Theatre and his very own One Man Show called 'Wenn in Lala Land', played at the Darling Voorkamerfees and Suidoosterfees Festival. He has worked as a radio presenter on KFM and has performed MC duties at events and productions in South Africa and the United Arab Emirates where he hosted a children's game show, play party, and farm show. His passion for the arts and a better society has led him to take on the role of a Helen O’Grady drama teacher. By practising, confidence, respect, and positivity he believes one can really make a world of a difference to a child's life, and by facilitating them with these concepts one can actively play a part in determining the future. Special discounts are available for more than one child in a family. Please pay your fees through your bank as cash deposits are extremely expensive for the Academy.